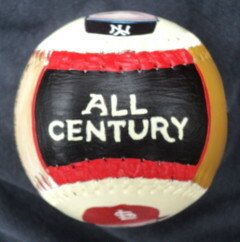 This Legends Hand Painted All Century baseball features three of my original paintings of the All Century Team. 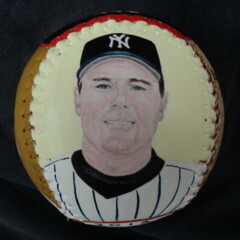 Side one is my close up painting of Roger Clemens. Click here for a closer look. 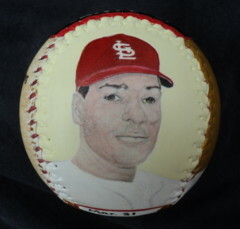 Side two has my painting of Bob Gibson. Click here for a closer look. 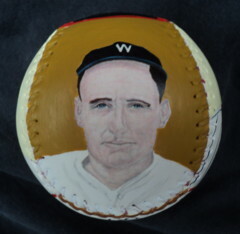 Side three has my painting of Walter Johnson. Click here for a closer look. 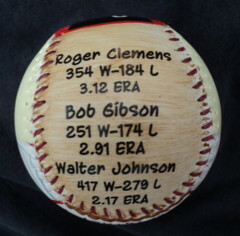 Side four shows some lifetime stats of these players. 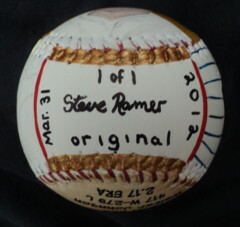 Side five, which is the top of the baseball, has has my hand painted "All Century".